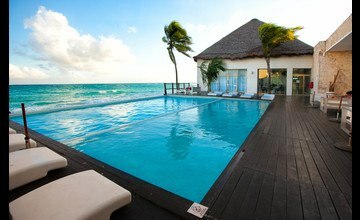 El Taj - 1-4 Bedrms - ONLY BEACH CLUB W/FOOD SERVICE - Private Terraces, Many w/Jacuzzis & Sea View. 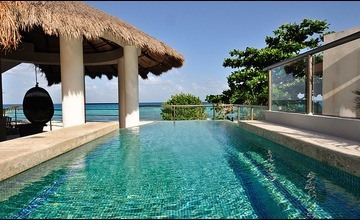 Click Here - Promos Up to 50% Off, Availability, Discounts, and On-Line Booking. 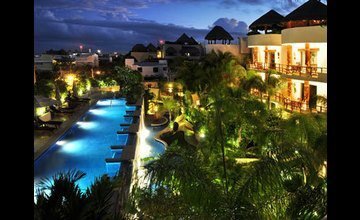 Along with El Taj, there are 4 other vacation rental condos, Porto Playa, Maya Villa, Villa Sacbe, and select Magia units managed by the same team, offering top services usually associated with a top rated hotel. Scroll down to see more....We always match the property management rate on all units. 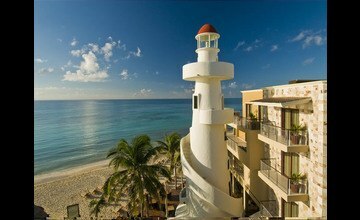 Save up to 50% on select dates at El Taj, Porto Playa, Maya Villa, and Villa Sacbe. Some promotions include FREE BREAKFAST at Indigo or Imprevist! 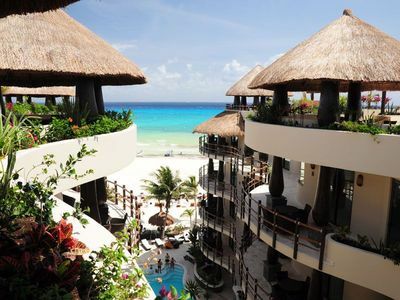 Consistantly rated in the top 3 on Trip Advisor, El Taj Condominiums consists of 57 condos situated on 2 separate properties in front of the beach. El Taj Oceanfront is directly on the beach with an Exclusive Beach Club - Indigo and El Taj Beachside is across the street. Guests get to use all the on site amenities including Indigo. 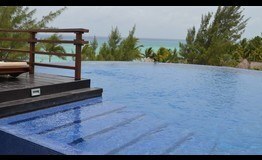 Enjoy 2 heated pools - on the Beachside property, an exotic, black mosaic, infinity pool with Jacuzzi or The Oceanfront pool sitting right on the beach. 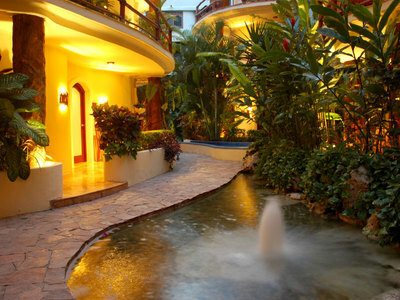 El Taj Beachside, located across the street from El Taj Oceanfront, offers 13 units in privacy of a sanctuary of gardens and waterfalls. 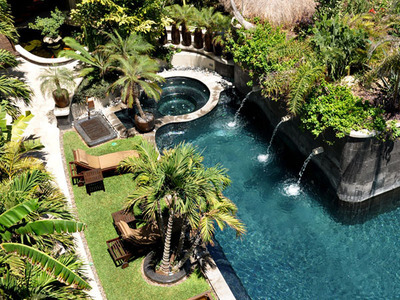 All vacation condos offer expansive floor plans with private terraces surrounded by exotic plants. All the penthouse units in El Taj Beachside feature ocean views from the private roof decks. All the Oceanfront units have views of the ocean. Guests are free to use the facilities at El Taj Oceanfront. 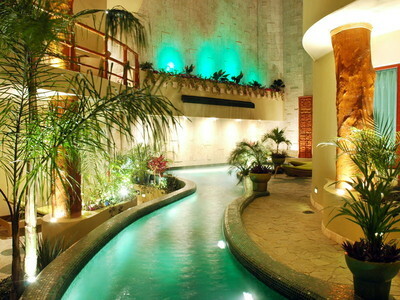 The focal point is a Sanctuary reminiscent of a tropical rain forest. There is even a "State of the Art" Gym and Fitness Center right on premises. 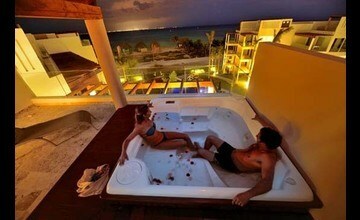 Porto Playa features 1, 2 and 3 bedroom penthouses and condominiums. All the Penthouses have their own private rooftop terrace with BBQ outdoor kitchen, heated Jacuzzi some with spectacular partial ocean views. 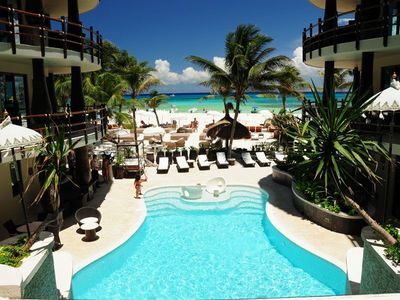 Centrally located in the heart of Playa, Porto Playa is only one block from beaches and famous 5th Ave.
At Maya Villa Condominium, you will enjoy a unique combination of modern luxury and Mayan magic. 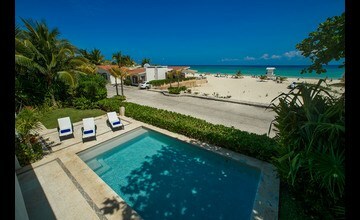 This beautiful vacation rental is located steps from the white sand beach. Seventeen spacious condominiums are nestled among lush vegetation that makes this resort your own tropical oasis. Your condominimum will be surrounded by Mayan art, handcrafted by the region's most talented Mayan artists. Enter through the great arch and find yourself in the midst of lush foliage and cascading waterfalls. 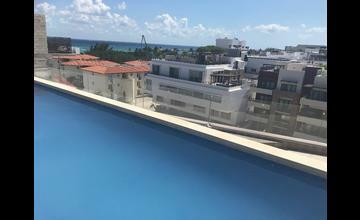 Villas Sacbe Condominium is a step above the Playa del Carmen hotels and offers a peaceful experience while being in the center of Playa del Carmen, Mexico. 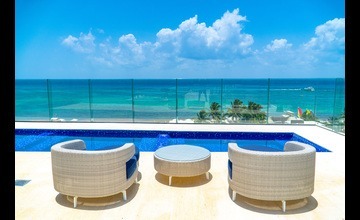 You have your own private beautiful condo with all the services of a superior hotel in Playa del Carmen for the same price or less. Each vacation rental condo is uniquely decorated too. There are rustic jungle themes, Mayan style themes, Asian and Mediterranean influenced decor.